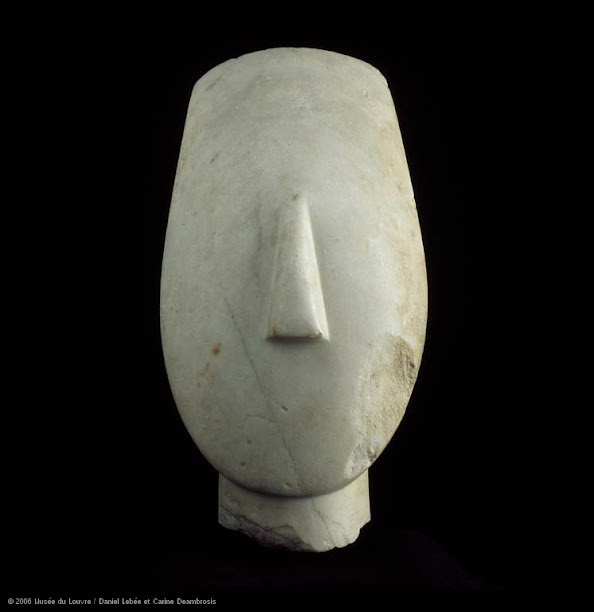 This particular head, however, was carved over 4,000 years ago in the Cyclades, a group of islands off the coast of Greece. 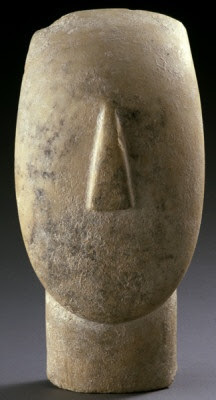 It is the head of a canonical figurine from around 2800–2300 BC, kept at the Museum of Cycladic Art in Athens. 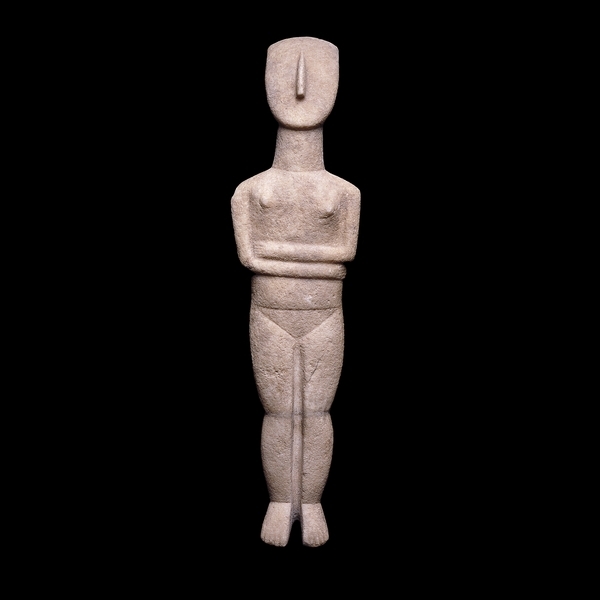 Cycladic culture developed around 3000 BC and for over one thousand years produced sculptures that had a strong influence on modern artists such as Picasso, Modigliani, Brancusi and many more. 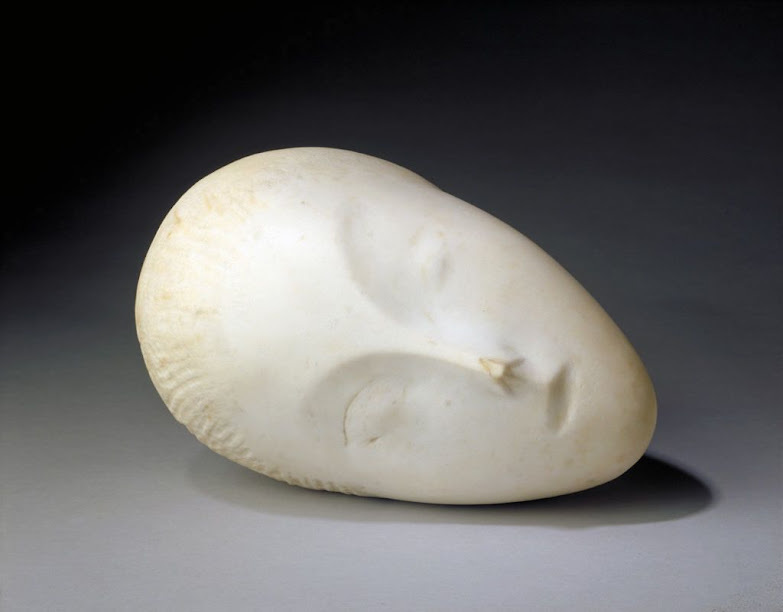 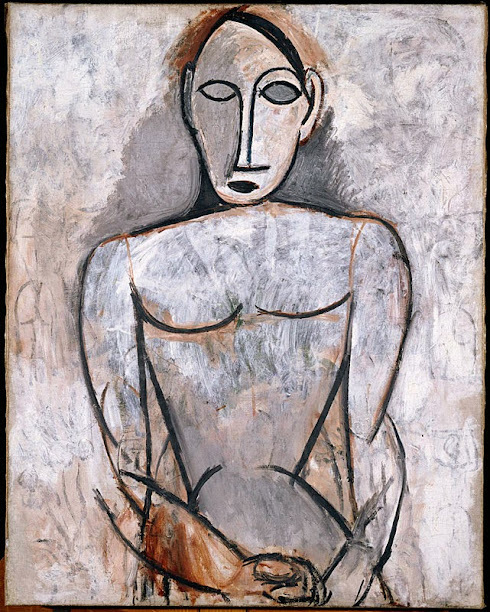 Constantin Brancusi, Sleeping Muse, 1910, Hirshhorn Museum and Sculpture Garden, Washington, D.C.
Amedeo Modigliani, Head of a Woman, 1910, National Gallery of Art, Washington, D.C. 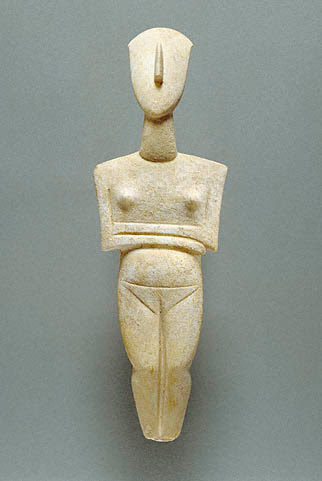 However, surface analysis has revealed that Cycladic sculptures were originally painted in bright blues and reds, among other colors. 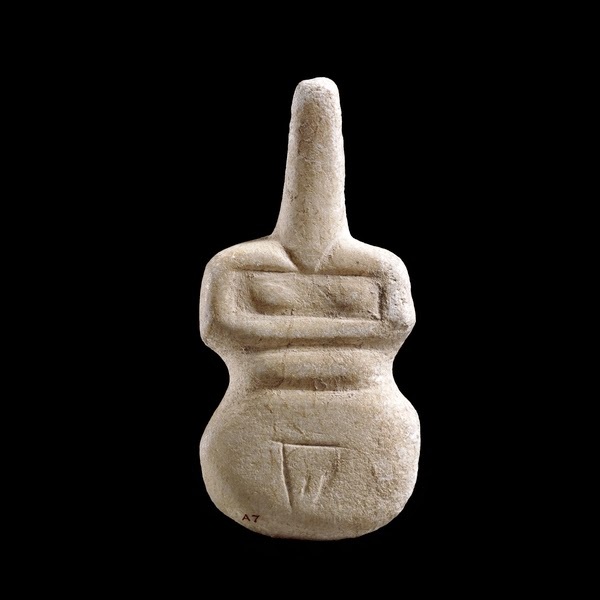 This means that eyes and other features were probably painted onto the stone, resulting in a much less abstract look than what we see today. 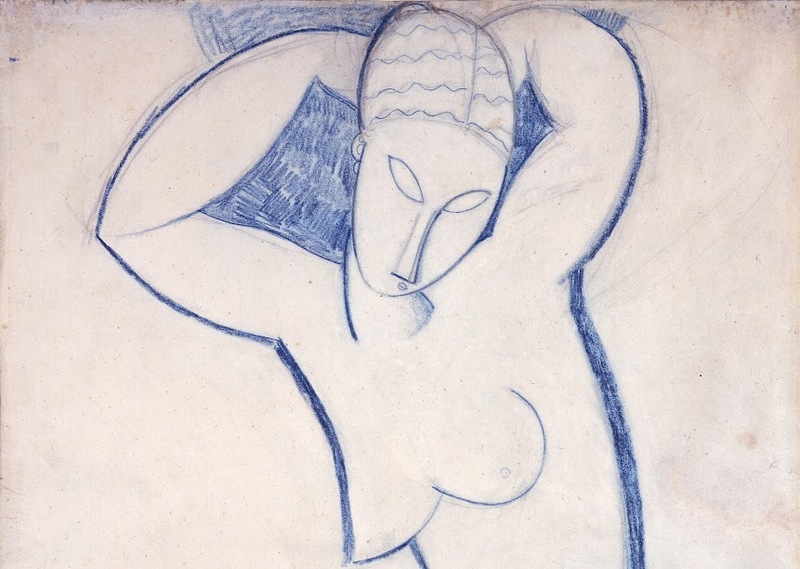 Just as Ancient Greek statues lost their colors and influenced the Neoclassical taste for pure white marble, so too did Cycladic art influence the rise of pure geometry in the early 20th century. 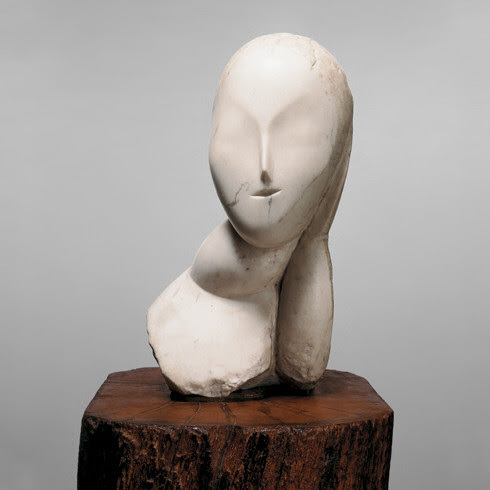 And that’s the influence of ancient forms on Modern art.